We are scaling up our response to reach 200,000 people. 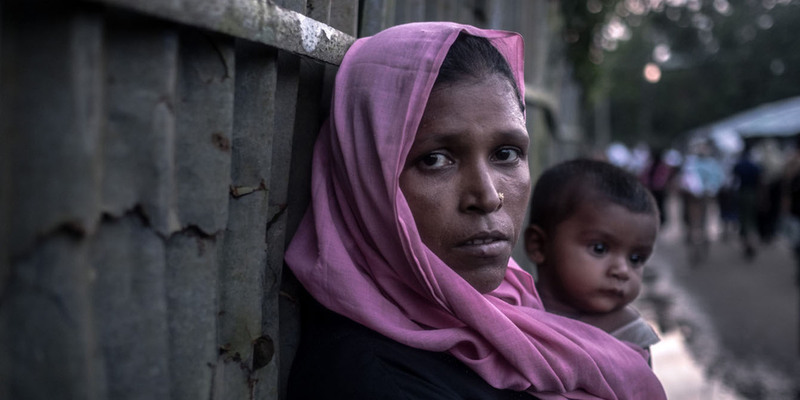 Half a million more Rohingya people have crossed over to Bangladesh since August 2017. This unprecedented number of refugees arriving in a very short space of time has caused a large scale and escalating humanitarian crisis. Twenty nine percent of all refugees are children. Oxfam is responding, but we need your help. Existing and newly-built camps are insufficient to deal with the new influx of refugees. More than 70% of them do not have access to adequate shelter and half have no safe drinking water. Recent rains have caused flooding and risk of mudslides in some of the makeshift settlements. In total more than a million people: recent arrivals, long-term refugees and host communities are in critical need. We are scaling up our response to reach 200,000 people. Dignity kits with hygiene items for women, girls, and children. We are working with the government and other agencies to make sure that new refugee camps meet humanitarian standards for the delivery of aid. We are particularly concerned that adequate attention is given to the protection of women and girls. So far Oxfam has reached over 180,000 people. You can help us scale up our response. 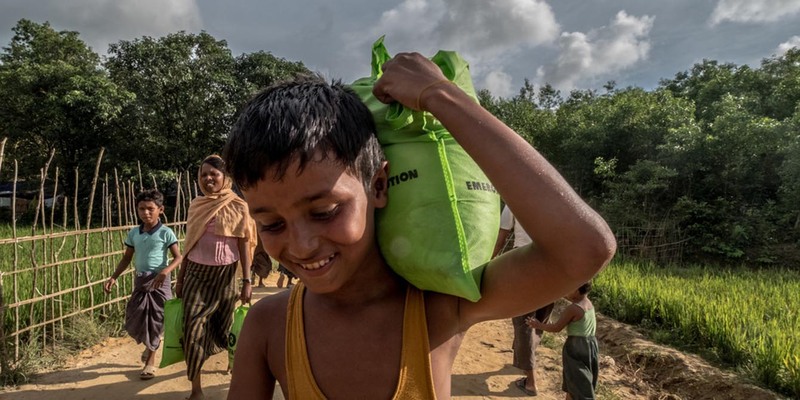 Mohammad*, 10 y.o, carries an Oxfam food parcel back to his home in Thengkhali Camp in Southern Bangladesh. 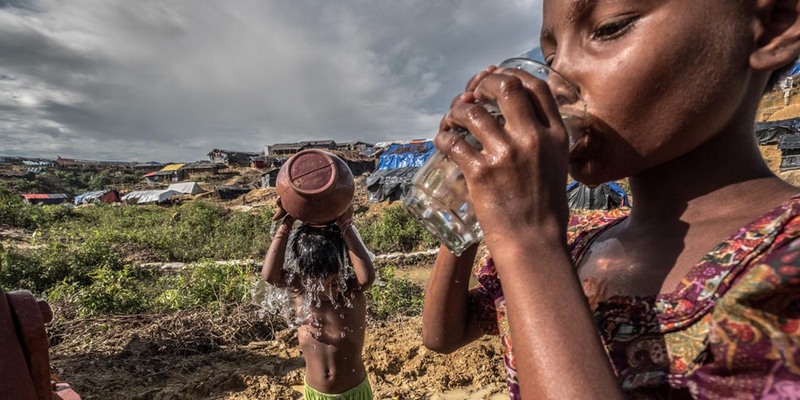 Nur*, 7 y.o, takes a drink of water from an Oxfam pump, while her friend Sofia*, 6 y.o, washes. 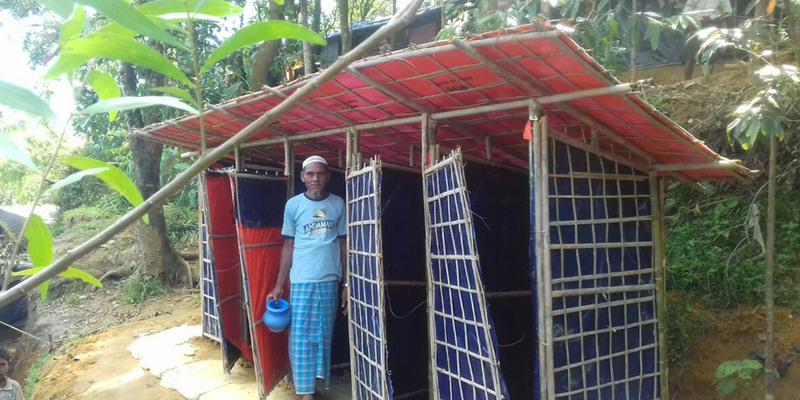 Mahmud, 65 y.o, staying at a new settlement at block C2, Lambashiya, Ukiya, Cox's Bazar. 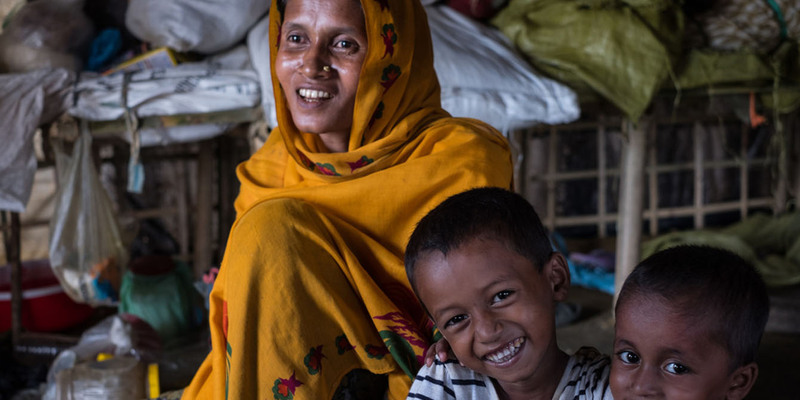 Razida*, 35 y.o, carries her ten month old son Anisul* through Unchiprang Camp in Bangladesh. Sumania*, 30 y.o, with her sons Khairul*, 7 y.o, and Roiyan*, 4 y.o. We provide life-saving essentials in the immediate aftermath of a disaster and to people affected by conflict. As more and more Rohingya refugees arrive, so do the needs. Women, girls, and nursing mothers are particularly vulnerable and need to be protected.